It seems as if the boys are slipping into a breakfast rut. They usually want toast or cereal. While I like that this is easy, it really doesn’t fill them up and fuel them up for the day. Jack has been known to come home from school saying I didn’t pack enough lunch. What, how much more can I pack?? He barely finishes in his allotted time. Maybe if he had a better breakfast he would stay fuller. As it is now he wants several snacks when he gets home from school. Growth spurt maybe?! All I know is I can’t even fathom the teenage years! So in an effort to fill the boys up in the morning I decided to make a batch of chicken sausage. I’ve made it in the past and enjoyed it, time to bring it back to the table. With all the news lately about processed and cured meats this is a great alternative to regular sausage, besides obviously being lower in fat. 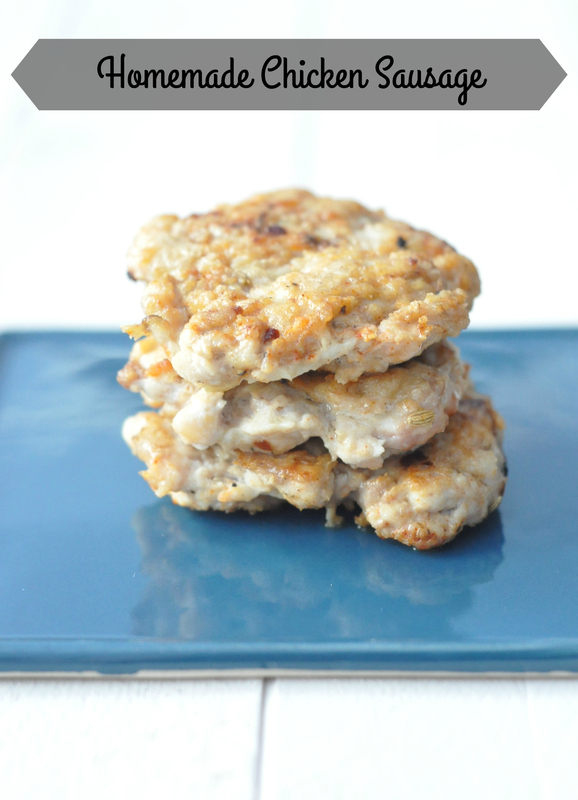 This entry was posted in Breakfast, Chicken and tagged clean eating, easy, healthy, low fat, sausage on November 12, 2015 by Gretchen. Halloween may be over but it is definitely still pumpkin season! I need to get more pumpkins to roast, purée and freeze for my stash before the season is over. This little treat is the perfect autumn sweet. 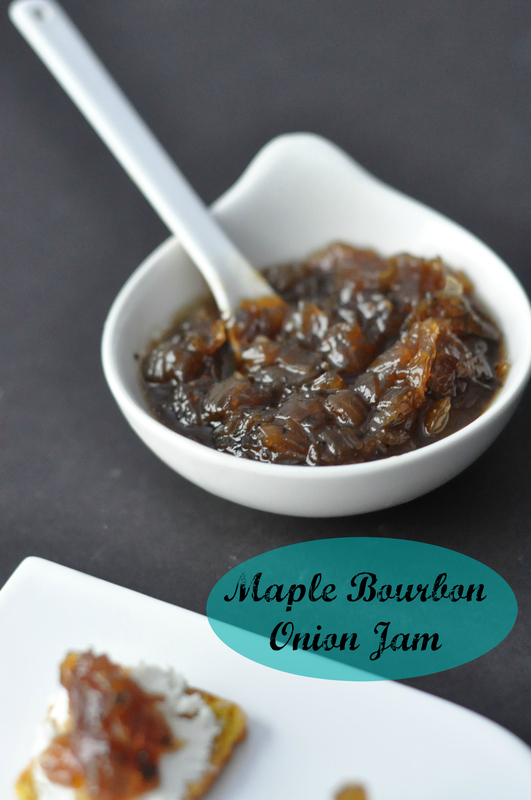 It is quick and easy to make so in my book that is just awesome! Then of course it can be packed in glass or stainless steel containers for a school treat. The boys beg for pudding cups which I refuse to buy, this homemade version though is perfect. 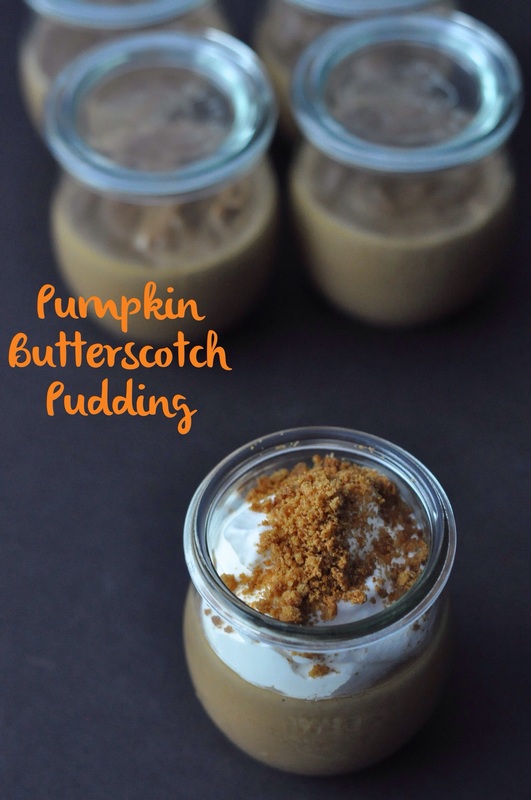 This entry was posted in Dessert and tagged easy, gluten free, kid friendly, pudding, Thanksgiving on November 6, 2015 by Gretchen. Good riddance October, you were an insanely busy month! All right, we had lots of fun last month even during all the madness. It’s funny to say, but I think with Thanksgiving and Christmas coming up our schedules are actually slowing down. It’s time to join Celia over at Fig Jam and Lime Cordial for another roundup of In My Kitchen posts, forcing me to remember some of what happened during this crazy month. Lets start with our outdoor kitchen. We went to visit my parents and one night we went camping. It was gorgeous weather, though a little chilly at night. The leaves were changing and the colors were beautiful. 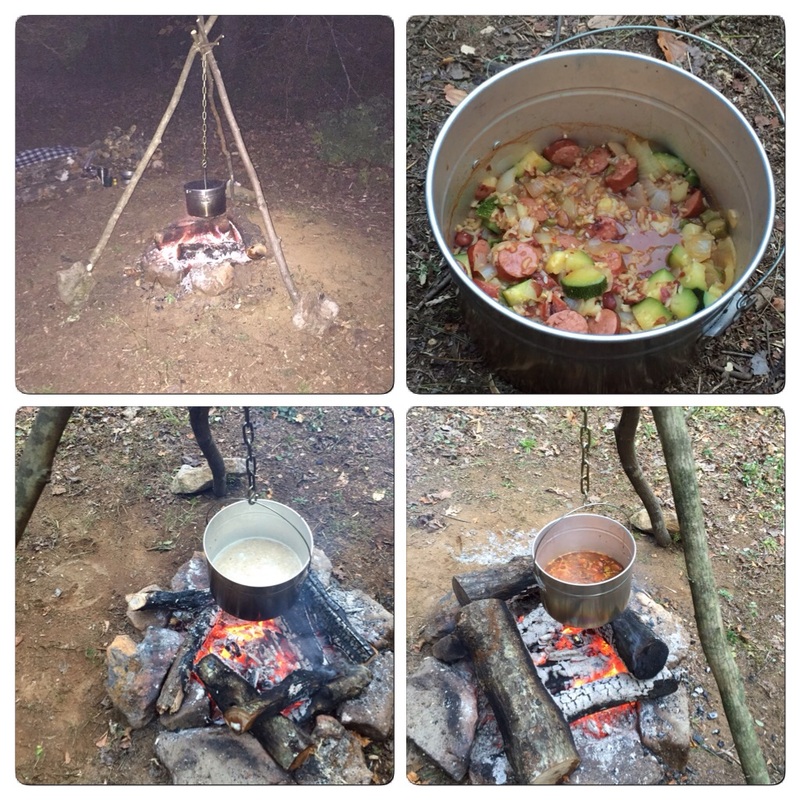 This time Josh set up a proper camp fire and we were able to hang the pot for cooking. We got a new larger pot which made cooking for the family easier. Dinner was red beans and rice. It was entertaining to see us in the store, reading all the package labels for the lowest sodium and highest fiber content! Can you tell we don’t buy package meals much?! To that we added fresh zucchini, onion, okra and smoked sausage. We also made a pumpkin camp cake for dessert and hot apple cider. Breakfast was hot chocolate and oatmeal. All in all a good camping trip, except of course for me hardly getting any sleep. This entry was posted in In My Kitchen and tagged camping, Domaine de Canton, Lunch Containers, Oreo Torte, School Lunches on November 3, 2015 by Gretchen.